Regularly scheduled inspection and timely septic tank pumping are essential for long-term maintenance of your septic system. With our years of experience in the septic and water services industry we have identified the most common reasons for septic system failure as improper use and lack of periodic septic pumping of the tank. 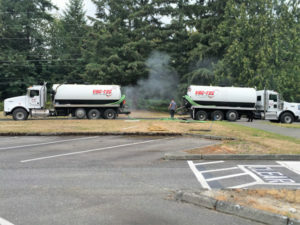 To ensure proper functioning of your septic tank system in the Yelm area, we recommend septic inspection along with periodic maintenance including pumping and proper septage disposal. 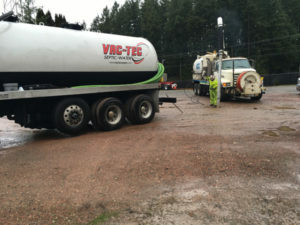 Call us any time for septic tank cleaning, pumping, drain field maintenance or repair services, or for any related emergency septic or sewer problems we are available on a 24/7 basis. If you are like the majority of homeowners you rarely give much thought to your septic tank system or the importance of regularly scheduled septic tank pumping. Septic pumping plays an important role in protecting your system by avoiding clogging and straining your system to a point where a new drain field installation may be required. Our recommendation for septic tank pumping is every three to five years depending on the size of your tank, the type, and the volume of usage by your household. Call us for septic pumping to help maintain a well-functioning system. 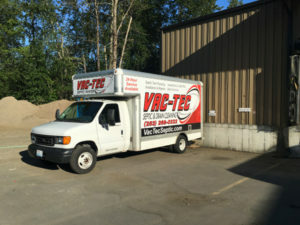 Why Should Yelm Residents Choose Us for Septic Pumping? We are fully aware that neglecting septic tank cleaning can become a costly expense in the future. As a full-service septic and sewer company we are dedicated to prolonging the lifespan of septic tank systems and helping our clients prevent costly repairs by providing timely septic tank pumping services. Our technicians are professionally trained in septic inspections and maintenance to determine the condition of septic tank systems, and if septic tank cleaning is required.